Superdry men’s Active training shorts. Part of the Active range, these shorts are made with moisture wicking technology and breathable fabric to help keep you cool. The shower resistant shell and wind resistant system make these perfect to wear, whatever the weather. 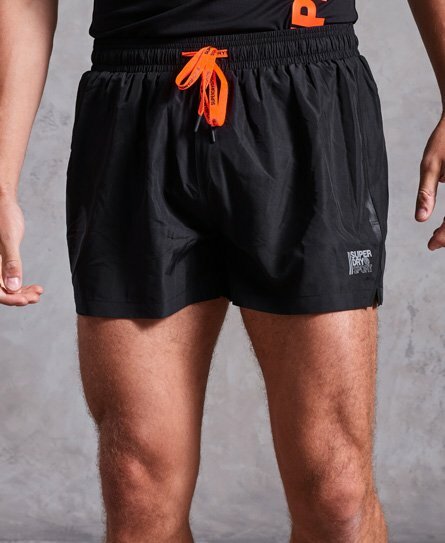 The shorts feature a mesh lining, an elasticated waist with drawstring fastening, Superdry Sports logo on the leg and zip fastened rear back pocket. The Active training shorts are finished with reflective detailing and a small Superdry Sport log badge under the pocket.